There were so many honeymoon destinations and resorts to choose from! After all the research, we finally chose one and thanks to all who helped us in finding our romantic honeymoon destination! We are so excited to share our special day with all of you, our dear friends and family, and we are anticipating our romantic honeymoon in St. Lucia!!!! We love you guys and we thank you for visiting our wedding website and our honeymoon registry! Since we already have every household item there possibly is, we figured why not have an extra luxurious and relaxing honeymoon? See you all at our wedding! We love you! We will join Maurice, a certified yacht charter captain and infamous local storyteller, to see St. Lucia from a completely different perspective. 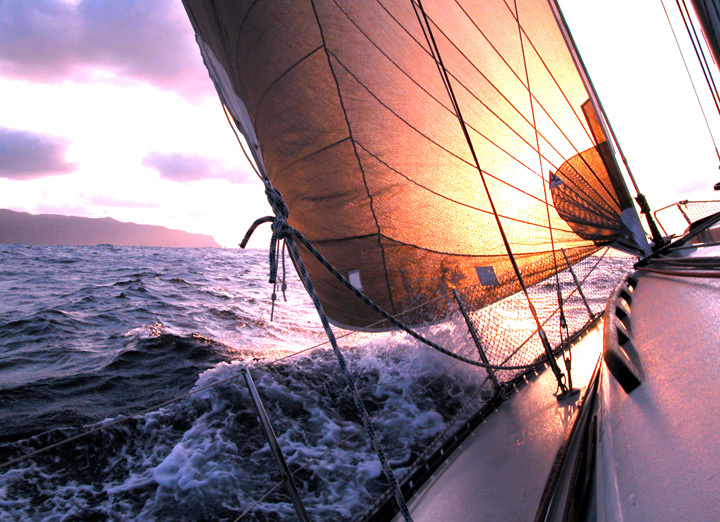 Onboard the 37’ yacht "One Time" we will set sail for adventure and excitement like we’ve never experienced before. Onboard the 37’ yacht "One Time" we will set sail and have an adventure with a half day excursion in the Pigeon Island area, where we will have views of the northwestern shoreline of St. Lucia. There will also be an opportunity for snorkeling in the clear Caribbean waters where we will marvel at the reef’s remarkable ecosystems which harbors 150 different species of fish. We will board the boat and head towards Saline Point and once we are there, we will snorkel straight off the beach into the clear Caribbean waters where will see a variety of sea life. Not only are there 150 species of tropical fish but also squids, octopus, flying Gernards, spotted drums and so much more. We can’t wait! Together we’ll discover the Atlantic coast riding atop beautiful horses hosted by the International Pony Club. 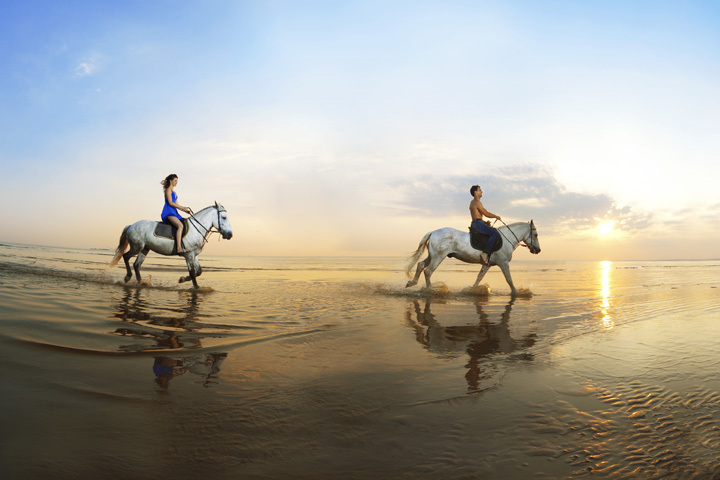 Once on the Atlantic side of the island, we’ll have the chance to swim with our horses in the sea. What an adventure! And even some time to relax & enjoy with local food and drinks included. 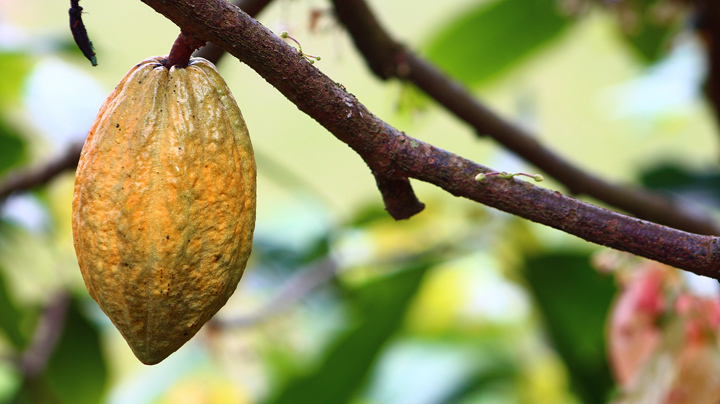 We’re heading to a historic cocoa estate aboard a catamaran, for a gastronomical trip to create our very own delicious chocolate from scratch. From bean tasting, de-shelling, grinding, scooping, and roasting we’ll experience every step of making cocoa into fine bars of chocolate. While the tempering is taking place, we’ll enjoy a 3-course lunch infused with cocoa treats. After lunch collect your personally made chocolate bar, then it’s on to the Mud Bath where you slather yourself in a mineral-rich potion allowing your body to relax and rejuvenate. Finally, return to the catamaran to join the Piton Sunset cruise, where you will be spellbound as the sun vanishes between the glowing Pitons. Up, up and way we ride on our Rainforest Tours Aerial Tram ride to view flirtatious hummingbirds, impressive buttress root systems, and persistent tropical vegetation. Saint Lucia’s flora reveals itself on our aerial excursion and along the fern nature trail. Cool tropical breezes and panoramic vistas included. The Tout Bagay Catamaran Day Tour will take us along the west coast of the island with rum punch, fruit punch, sodas, water and a buffet lunch are included. As we head towards Soufriere, we’ll enjoy snorkeling, the beauty of Marigot Bay, as well as delight in the Morne Coubaril Plantation Tour. Our adventure will take us to the mud baths in the area of Saint Lucia’s drive-in volcano and then we’ll soak in the sun at the Torille Waterfall. What a way to relax, yet still get the chance to see the beautiful island of Saint Lucia. This wedding gift can be used towards a number of amazing spa treatments, individually tailored excursions or extra nights at the resort’s charming and unique accommodations. With your wonderful wedding gift, we will take delight in the stunning settings of the magical Caribbean island of St. Lucia! It will be amazing to enjoy a romantic and delectable dinner for two, prepared by the resort’s chef. Maybe we will be served on the deck of our private beach cottage, the beautiful gazebo or even on the boardwalk overlooking the ocean. Any choice is sure to be amazing! 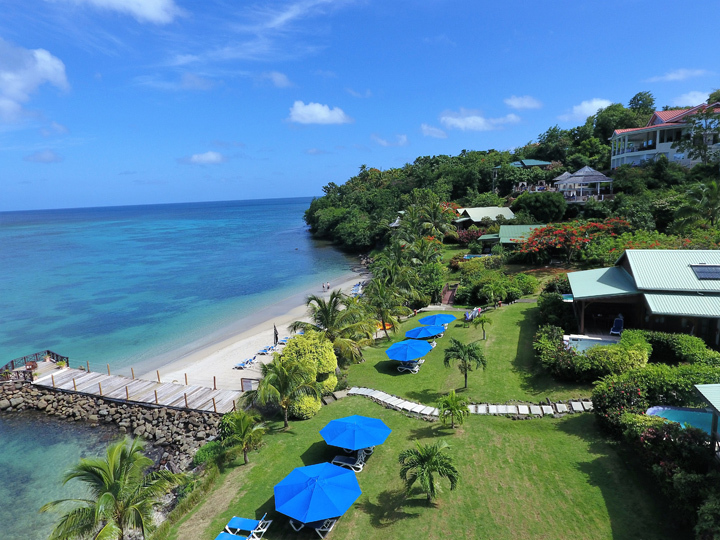 Together, we will take delight in the luxurious surroundings of St. Lucia from a completely different angle! 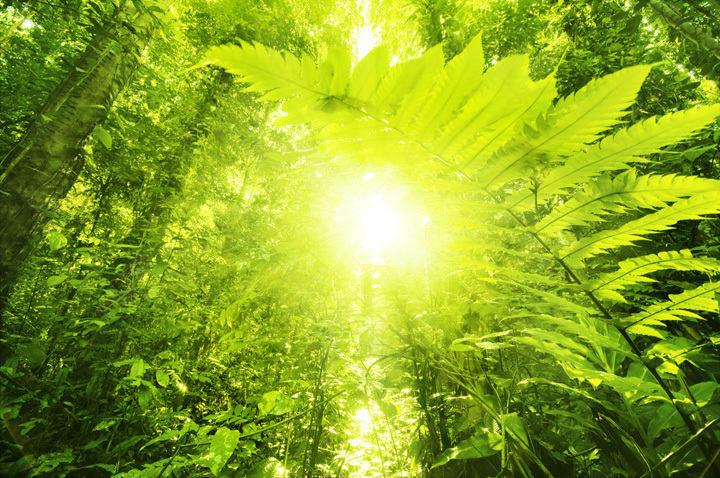 We will be able to see the sights of St. Luica’s lush interior and highest peak Mt. Gimie, Roseau Dam, the Atlantic Coast and Marigot Bay. And we are sure to enjoy learning about all the wonderful facts of this magical island with running commentary from our pilot. On our honeymoon at Calabash Cove, we will relax with an enchanted evening couple's massage during the Caribbean sunset. This will be followed by a romantic candlelit beach dinner, with our own private server overlooking the stunning views of the Caribbean Sea and the lights of Castries on Bonaire Bay. If that is not enough, we will return to a candlelit room scattered with rose petals and indulge in chocolate dessert and champagne. How fun would it be to hear the great sounds of a "One Man Steel Band" at our reception? We can imagine dancing to the rhythmic sounds on the sandy beach surrounded by friends, family, fragrant local flora and fauna and of course the hot Caribbean sun! Our wonderful moment will be captured on video! We will get one hour with a professional videographer on our special wedding day. The video will have an approximate run time of 25 to 30 minutes and will include footage of the ceremony location, the walk up and ceremony as well shots of the reception, the beautiful island and the resort. Help us capture the moment forever! With your lovely wedding gift we will be able to have a personal photographer for 1 ½ hours to record our memories of St. Lucia and our special wedding day! We will receive a disc with 60 beautiful photographs and an average of 250 photographs will be taken for us to choose from. 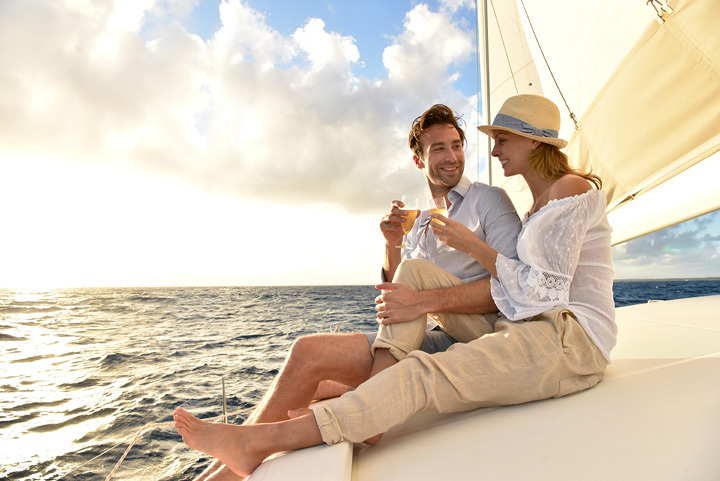 With your wonderful wedding gift, we will take delight in a bottle of French Champagne on our honeymoon at Calabash Cove! While admiring the stunning views of St. Lucia from our luxurious balcony, a bottle of champagne will be delivered to our room so we can toast to our new lives together! This wine, simple, delicate and fresh, will go perfectly with seafood, fresh cheeses or merely as a treat in our wonderful accommodations at Calabash Cove. We might even be able to take a glass to "Whispers", an oasis created for listening to musical notes and printed words from around the world. Juicy and nicely delineated, with black cherry and cedar flavors…this wine will be perfect for us to toast to our new lives together! 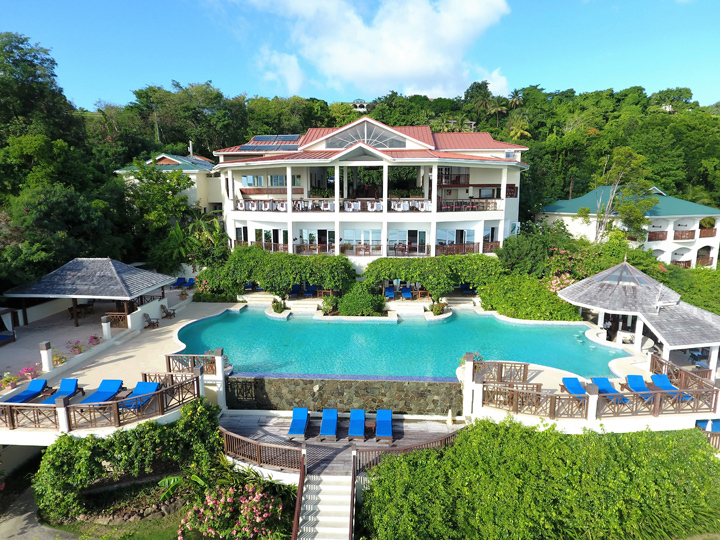 We can just imagine sipping wine while listening to the soothing sounds of birds and wind chimes, overlooking the Caribbean Sea. We are not sure it could get any better! Together, we will enjoy a wonderful bouquet made of carved tropical fruits. Maybe we will take the fruit out to one of the quiet walkways and enjoy our treats by the local flora designed in groves, patches, ponds and terraces. We will enjoy a candlelit, aromatic, therapeutic massage for two that uses a special blend of essential oils and soothing massage techniques. While lying side by in the lovely Ti-Spa, relaxing background music will serenade our senses as we rekindle our fire with a romantic Couples Massage on our honeymoon.